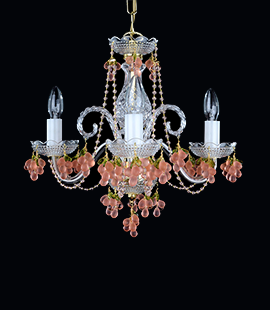 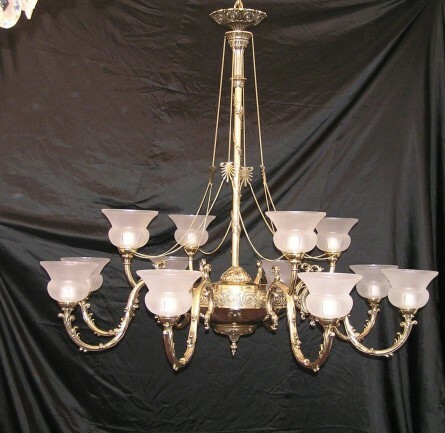 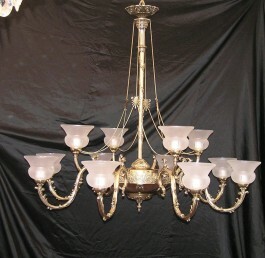 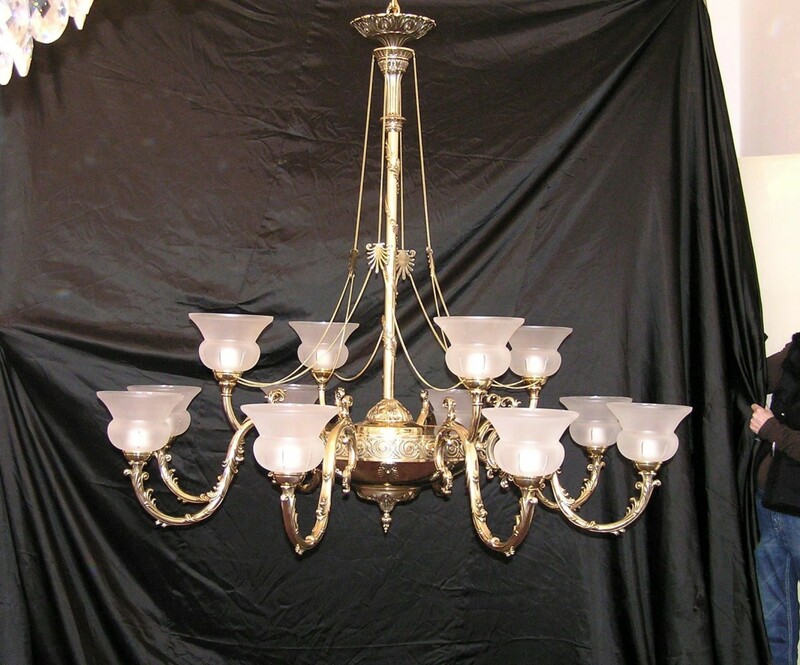 The custom-made cast brass chandelier with antique gold finish. The design custom-made chandelier with solid cast brass arms. 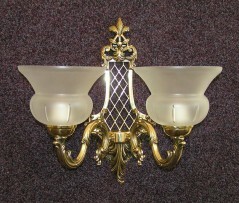 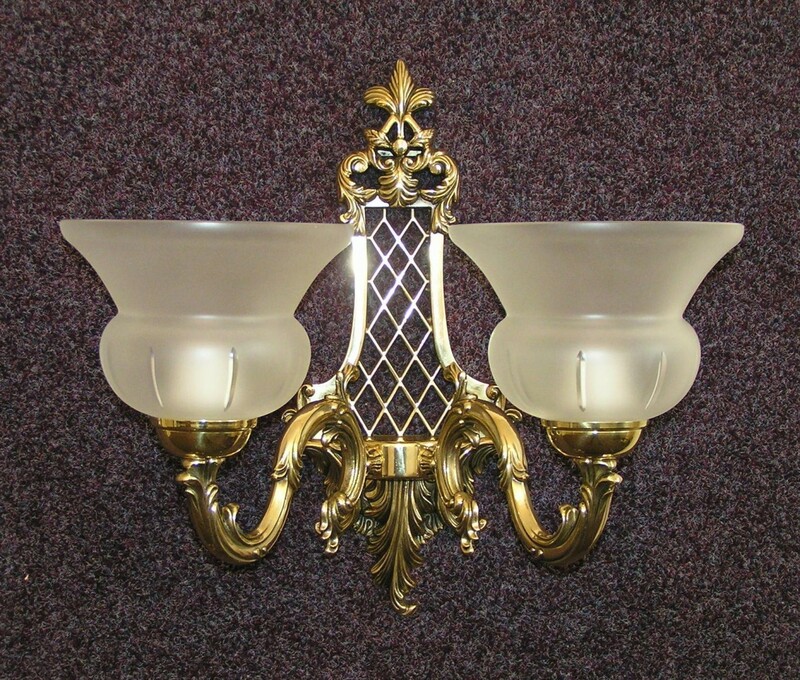 The 2 bulbs wall light in the same style and raw material.